The result from a study for effect of grapefruit on human body, especially in relation to weight loss shows very interesting facts. 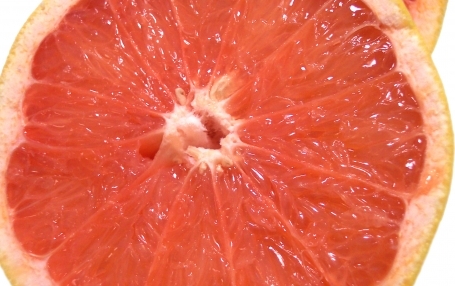 It establishes that eating or drinking grapefruit in your diet daily has a direct relation to body weight. Participants in the study group are known to have lost between 3.3 pounds to 3.6 pounds after a 12 week diet regime. The amount of weight loss depended on the form in which they took grapefruit, half grapefruit with each of the three meals or drinking grapefruit juice. It is believed that grapefruit helps in lowered insulin levels. Our body uses insulin to metabolize sugar. If the sugar metabolism is done efficiently by the body, it will not get stored in the body as fat. Hence grapefruit helps in lowering the body fat deposits eventually resulting in your attaining your dream curves. Experts say that grapefruit also helps in the metabolism of certain drugs. So here is what impact this important discovery makes, grapefruits help regulate body insulin resulting in controlling hunger. It also helps in maintaining the blood sugar level and control diabetes. In addition, grapefruits are also known to improve body metabolism resulting in additional fat burning. What are we waiting for, go ahead, grab your grapefruit diet and get in shape fast.